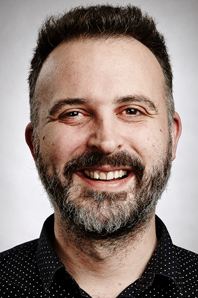 Kieran joined Love Productions in 2007 and has executive produced many of Love’s most innovative and controversial critically acclaimed factual series and formats. He oversaw the Bafta nominated Make Bradford British as well as the groundbreaking documentary series Benefits Street. He won an AIB in 2015 for a series about five people with only a year to live –My Last Summer, and most recently has enjoyed success with the critically acclaimed Bafta, Grierson and RTS winning series Muslims Like Us. He was also part of the team that brought The Great British Bake Off to our screens and most recently helped oversee the successful move of the series from the BBC to Channel 4.